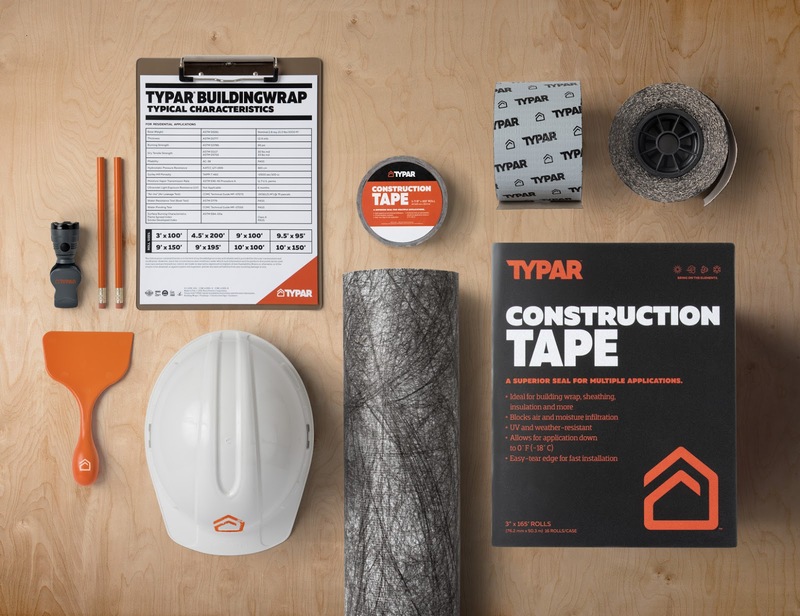 The Typar rebrand included not only a new logo design, but a new voice, packaging, and photography style. 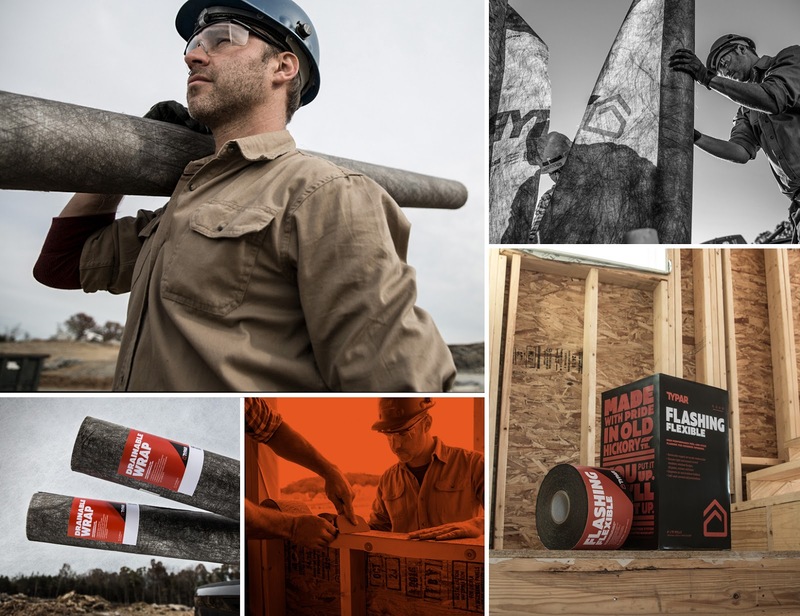 The core of the brand stands for ruggedness and dependability, and the new voice is meant to sound like the guys on the jobsite. 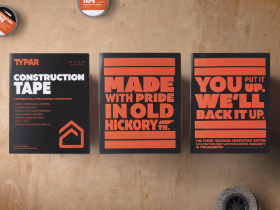 Proud that the product is made in the USA, we embraced the mantra "Made with pride in Old Hickory, TN", using this brand lockup on most of our packaged materials. We used the font "Muller" as our primary typeface across all packaged materials to create a presence that is impossible to ignore. 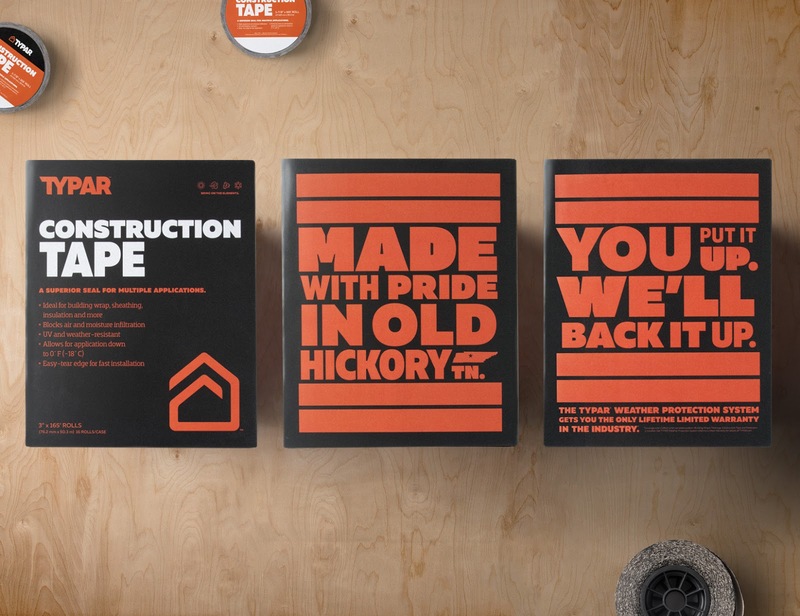 Our primary color palette which is a mix of orange and shades of black pays homage to vintage Typar branding, and made sure that we stood apart from the competition. The housewrap market has almost always been overlooked in the design/branding/packaging category. We pitched the new brand and packaging look to stand out from the competition, and stand out they have. 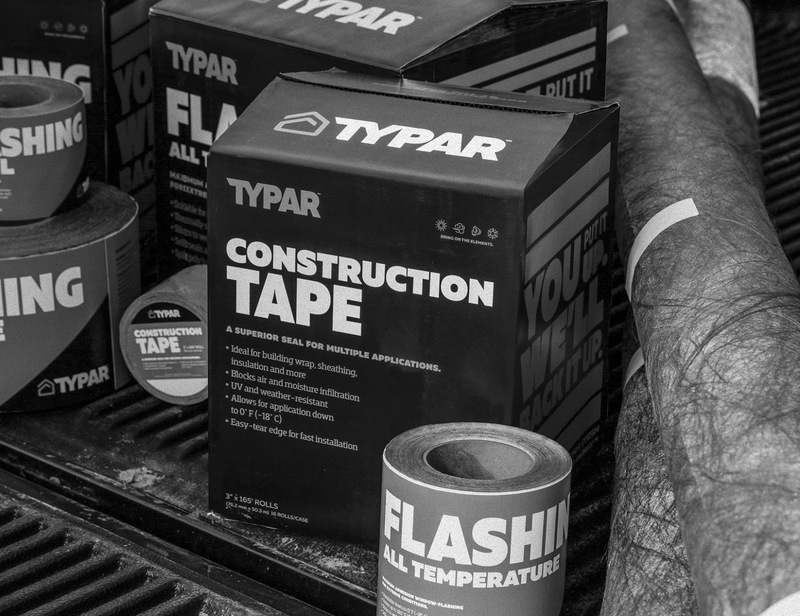 Furthermore, the housewrap itself and all tapes, flashings and boxes are printed at their large scale manufacturing facility. The printing takes place directly after the housewrap itself is fabricated. So the printing process is part of the actual assembly of the products, which is in itself, unique.